Every customer buying Hazel’s Eko Special saves over $95.00!! Step 3: Allow 5-10 minutes for Eko Crystals to transform your water. 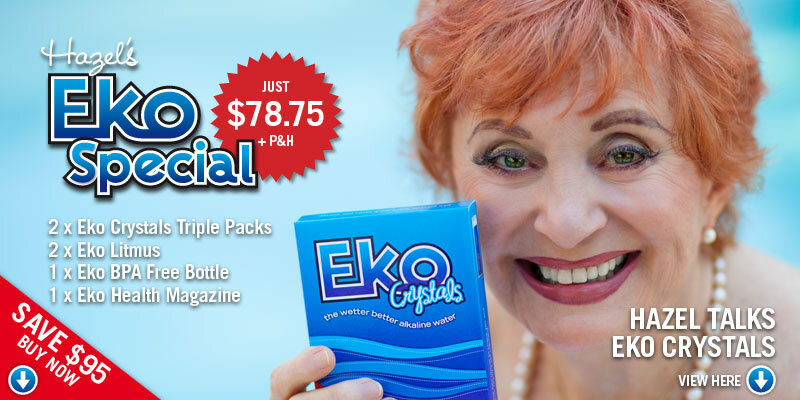 One Eko Crystals sachet will make 1.5 to 2 litres of top quality mineralised Eko healthy water containing an abundance of alkaline mierals plus 72 trace minerals.